This app is the best and powerful tool to clean and backup received and sent media via Whatsup and also you can open two account in same device. If you want to save whats scan status and want to share message with someone without saving there number. In your mobile or else want to scan or generate than you are at right place. WhatsScan and Status Saver for whatsapp allows you to reach two accounts that are on one device or OR you can run the same account thatsapp on a dual device. It's up to you! Whats Status Saver: Currently, in Whatsup you can only see the status of your friend (image or video) and disappear in 24 hours, but if you want to save it for use, there is no option. 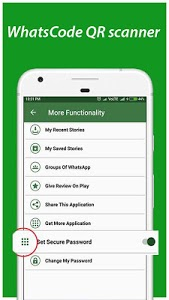 Do not worry, this application will solve your problem. 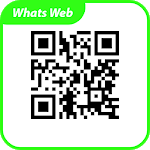 It is just a simple method or mechanism just scan the QR Code that Appear in WhatWeb Cloner Messenger Application and Abracadabra it is Synced. 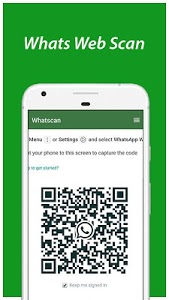 Connect to your whatapp Account by scanning bar code. You can chat, download media, status message etc. 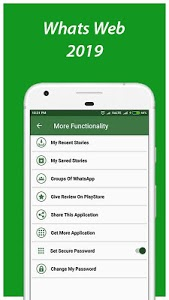 Provide App lock Security to Secure your Whatsapp web scan chat and all media images, videos staus Details.